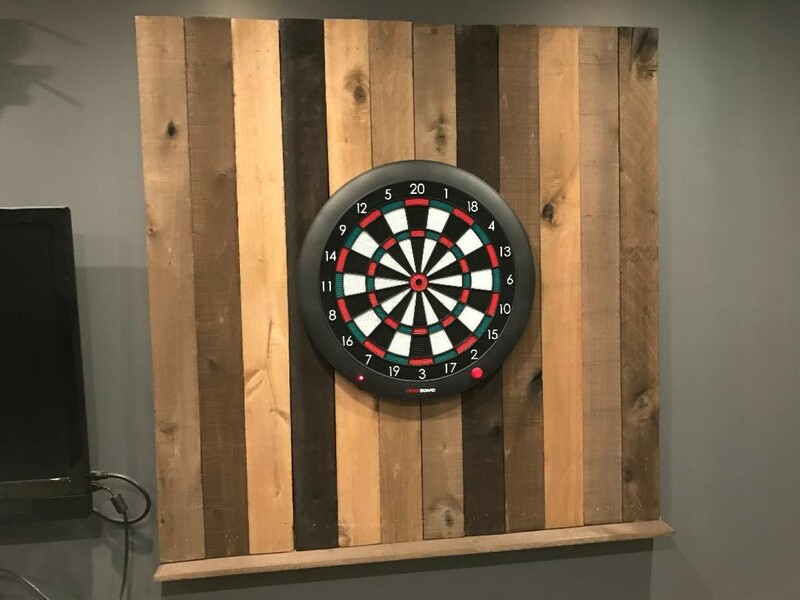 If you’re looking for a dart board wall or cabinet, you’ve probably noticed that there aren’t a lot of good options, especially if you’re looking for something for a larger dart board. 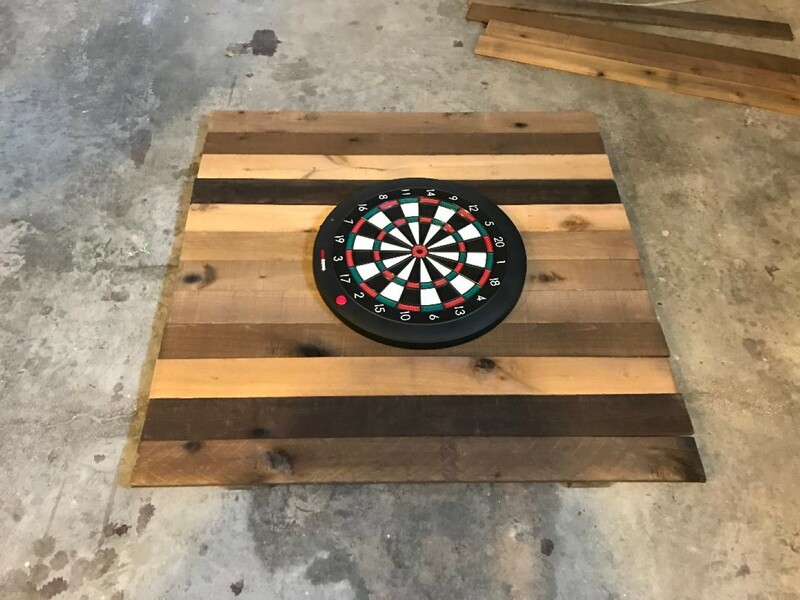 Almost all the available options out there are made for smaller dart boards (less than 20 inch diameter) and almost none of them work for larger electronic dart boards. Basically, too narrow on the inside to fit the dart board. And if they were wide and long enough, often they weren’t deep enough for something like the Gran Board 2. I finally got fed up with this and decided to make my own. I knew that I needed to make it fairly large as I’ve seen how terrible a lot of people are at hitting the board, you usually need about a foot around the board to protect the walls. Any less than that and you’ll end up with wall marks from time to time. I decided to make mine 4 foot by 4 foot. 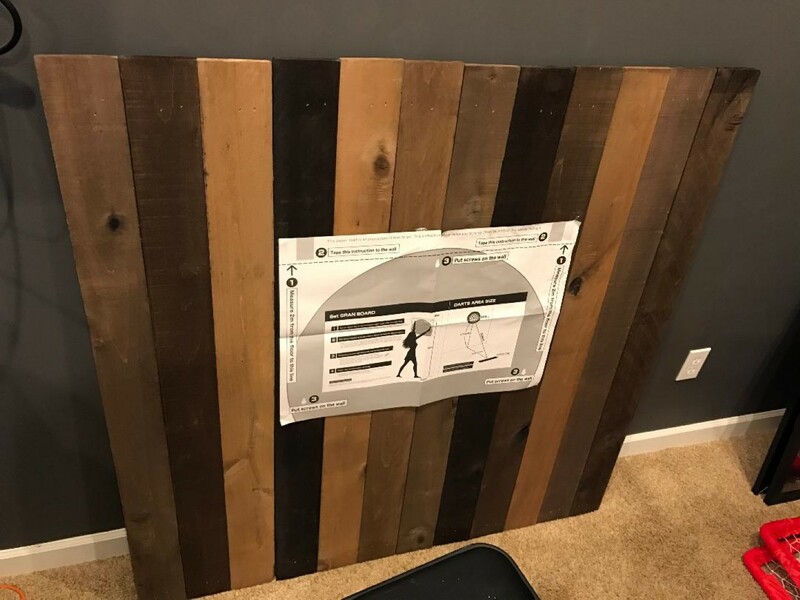 Since my dart board was 22 inches across, this would give me a little over a foot on all sides of the board to protect the walls, plus provide a nice aesthetic. 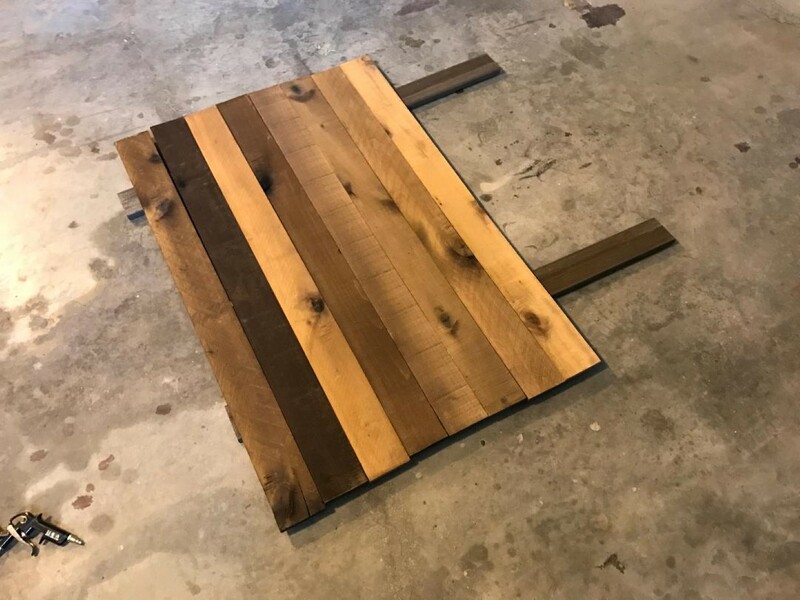 4 foot also provide a nice round number for cutting boards that normally come in 4′ and 8′ lengths, I figured that I could either cut 8′ boards or assemble 4′ boards with minimal effort and cutting. I also bought an 8′ board of reclaimed wood that I used to make the cross pieces on the back. Looking back at it, I probably could have used the same 4′ pieces from the box I linked above instead of buying a separate piece. Probably the only advantage of the 8′ board is that it was a lot thicker than the other boards so my 1″ nails didn’t go all the way through both boards. Once the wall was assembled, it was time to go install it in my Game Room. 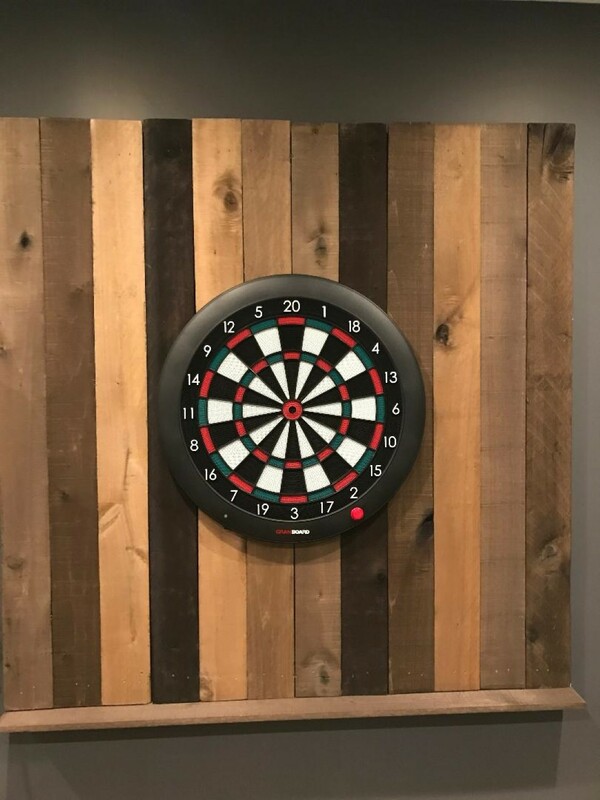 This is probably the hardest part of this whole deal, since you have to try and get the dart board at the right height (and you’ll want the dart board to be centered on the wall, so there’s a lot of factors in play). I first put a screw in a stud to hang the dart board wall on. This allowed me to correctly situate the wall (on the wall, lol). Once I had it level and in the right spot, I screwed both the top and bottom into the stud in the middle. I thought two screws (plus the one it was resting on) would be enough for my particular setup since I used very long screws, however you may need more depending on your situation. I have a video of the final installation. Hopefully this will help you in your quest to find a nice dart board backing. The options are pretty lacking commercially but this is a good way to do it at minimal effort and cost. If you have any questions post a comment or email me.